Indoor workspaces can create a huge impact on the health and productivity of any worker. In the quest for efficiency, previous generations of workspace designers created office plans that we now know create health risks to workers. 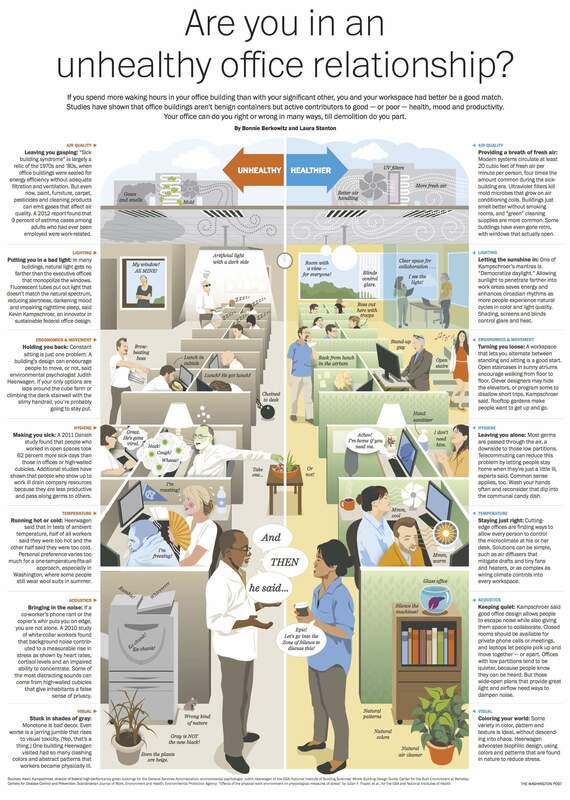 The Washington Post recently came up with a nifty infographic on Unhealthy vs Healthy Offices. We’ve done posts on office/work space optimization and we’ve touched on almost all of the points in another, for developing your home office. 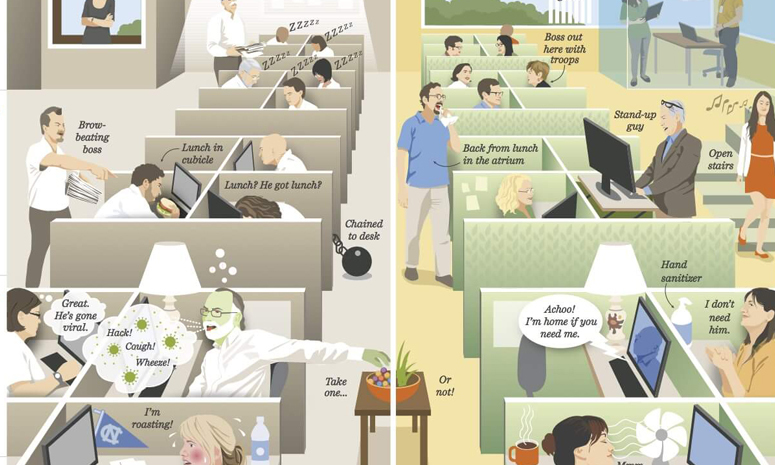 Hopefully this will help better illustrate what we used to do wrong in office design vs what should actually be the case, now that we know better. What do you think?